All my life I told myself I wasn't a runner. I hated huffing and puffing, and I could NEVER run that 8 minute mile in middle school gym class, which earned me a B on the "assignment". Being a straight-A sort of girl, that really didn't do much to make me feel good about my ability to run. A year and a half ago I had my third knee surgery, which was my second ACL repair on my left knee. A (at the time) 24-year-old really shouldn't already be getting her third knee surgery... My boyfriend helped me realize that if a pro athlete can get the same injury as me, and be playing pro sports again within months, why can't I run? I had always blamed the impact feeling bad on my knee, but if I keep up with my physical therapy, that really shouldn't be an issue! I set my sights on the Bolder Boulder, one of the biggest 10k's, held right here in Boulder every Memorial Day. Five and half months after that surgery, I did the 10k. I did not run the whole thing - heck, I didn't even jog most of it. But I DID finish it, and I wasn't the slowest one. A little while after that, I discovered that Disney World was adding a 10k to their Princess Half Marathon weekend. The half marathon was a bit much for me to swallow (and a bit out of our price range), but the 10k sounded perfect - not to mention that it took place in and around Epcot. If there is one thing you should know about me, it's that I am absolutely head-over-heels in love with everything Disney. So I signed my boyfriend, my sister and me up for it, and started to train so that I could jog a good portion of it. On race day we woke up super early and waited around for a while, but finally we started off, running along the streets, finally into Epcot, a little bit behind the scenes, and finished just outside the entrance to the park. Along the sidelines, characters were cheering us on and you could even stop for a photo op. I didn't run the whole way, and my pace was nowhere near where I hope it will be someday, but I DID make a personal best that day. Plus, I got to celebrate by being in Disney World with two people I love very much. Doesn't get much better than that. 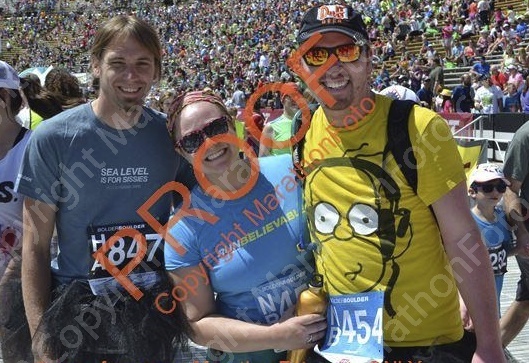 In May, I did my third 10k. Unfortunately I was super sick (I had been coughing uncontrollably the whole week before), but I walked the whole thing sucking on Halls cough drops. I don't think I could have run it while sick unless I wanted to make myself even sicker. Before I got my cold, though, I had been regularly going for a jog a couple times a week and was super excited to hopefully make another personal best. These may pale in comparison to other people's experiences and paces and achievements, but my experiences mean a lot to me. I also know that I still have a long way to go. I still sort of dislike running - it's harder on my body than biking or the elliptical - but I don't hate it the way I used to. It's something I can do with my dog or people I love. I can do it inside or outside, depending on the day. I can listen to audiobooks, podcasts or music of my own choosing. It's exciting to have such freedom in such a healthy activity. I can tell you that these won't be my last 10k's, and I look forward to the mini milestones (and hopefully bigger ones) that I come to with each race. *Note to MarathonFoto - I would possibly consider buying your pictures if they were more affordable or possibly if I could package together a few people's pictures. I will not be spending $70 a person to get a few pictures, because I cannot afford such frivolous things in my life at this time. I like what you do, but there were only about a half-dozen pictures of me and my boyfriend at each BB10k, spread over two runners, and that many pictures is not worth $140. There were just over 40 pictures from the Enchanted 10k, but $210 is a bit steep for me. I understand that this is the business model you've chosen, but for now, I will live with the watermarks on my face.